NEW YORK – Attorney General Eric T. Schneiderman today announced a settlement with Simon Property Group that prohibits Simon from using anticompetitive tactics to thwart the development of competing outlet centers in New York City. These restrictions have impeded new outlet centers from opening, harming retailers and consumers that would have benefited from outlet locations in New York City. Simon has agreed to immediately modify contractual restrictions that have prevented retailers at its flagship Woodbury Common center from opening outlet stores in New York City locations. Today’s settlement will finally allow for the opening of outlet malls in Brooklyn, The Bronx, Queens and Staten Island, creating competitive choice for retailers and consumers while boosting the New York economy. “No business should be allowed to stifle an entire industry at the expense of consumers—but for years, that's exactly what Simon Property Group did to New Yorkers,” said Attorney General Schneiderman. “Simon's anticompetitive conduct blocked competition and drove up prices for New York consumers. That ends today. I am pleased this agreement will allow for new shopping outlets to finally open within New York City, and make affordable shopping more accessible for residents across the region." The Attorney General’s investigation into Simon’s practices at Woodbury Common indicated that Simon had monopoly power in the market for retail space in outlet centers in the New York City area. The investigation also confirmed that many retailers at Woodbury Common wished to open additional outlets in New York City, but were largely prevented from doing so by so-called radius restrictions in their leases at Woodbury Common. These clauses typically restrict retailers (by threat of a substantial penalty) from opening a second store within 60 air miles of Woodbury, creating a vast 11,000 square mile zone in which Simon faced little effective competition from other outlet centers. 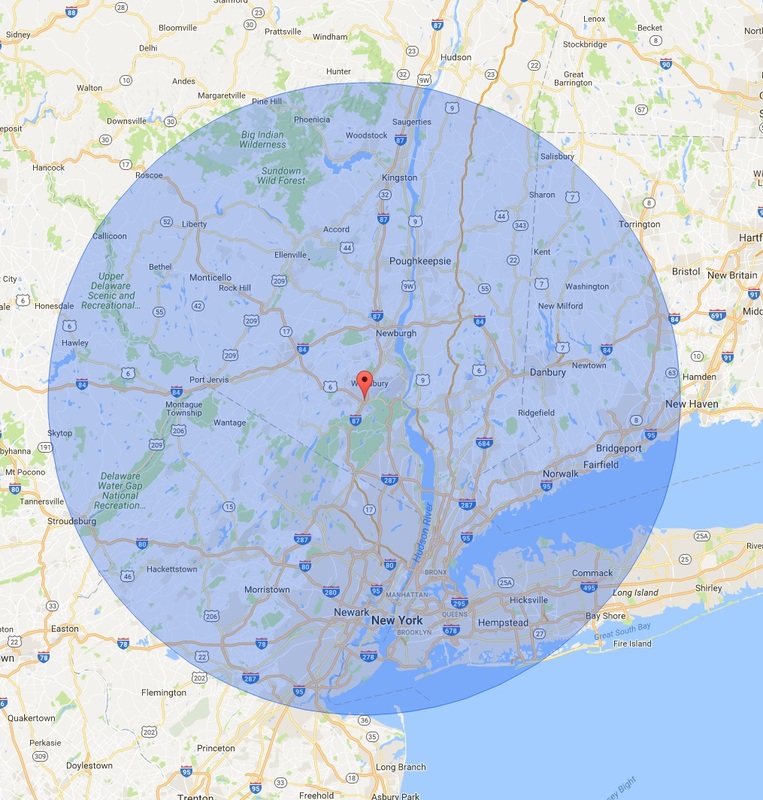 The investigation also revealed that several developers had attempted to develop outlet centers in New York City, but were thwarted in signing up the necessary retailers due to the Woodbury Common radius restrictions. There are over 200 outlet centers across the US, but one outlet center—Woodbury Common—dominates the New York City area. Elsewhere in the country, outlet development has thrived and outlet centers have been moving closer to city centers. Unlike New York City, other major cities such as Chicago and Los Angeles have several competing outlet centers. Opening up New York City to competing outlet development will create new choices for consumers and retailers, along with potential new investment, infrastructure, and jobs. In addition, competition among outlet centers is likely to lower overhead for retailers, maximize retailers’ opportunities to reach more price-conscious consumers, and deliver better value to New Yorkers seeking discounts. Ending exclusive agreements with retailers.Simon has agreed to revise existing leases to remove radius restrictions that would otherwise prevent outlet center development. Prohibiting future interference with outlet retail. For the next 10 years, Simon has agreed to cease using radius restrictions, or other exclusionary tactics, that might deter retailers from opening additional outlet stores. These two commitments ensure that Simon’s competitors will be able to compete on a level playing field to develop new outlet centers in New York City. Simon has also agreed to the appointment of an independent monitor to ensure compliance with the terms of the settlement. Attorney General Schneiderman’s office will oversee the monitor, and work to maintain an outlet retail market free from anticompetitive restrictions. This matter was handled by Assistant Attorneys General Bryan Bloom, James Yoon, Jeremy Kasha, Mariya Naulo, and Marc Foto, as well as Deputy Bureau Chief Elinor Hoffmann, Bureau Chief, Beau Buffier, and Executive Deputy Attorney General for Economic Justice Manisha M. Sheth. An independent monitor, Wayne Hussey, has been appointed to ensure compliance with the terms of the settlement agreement. Mr. Hussey’s phone number is 214-641-8226.